BLADE OF THE IMMORTAL. (DVD Artwork). ©Lionsgate. 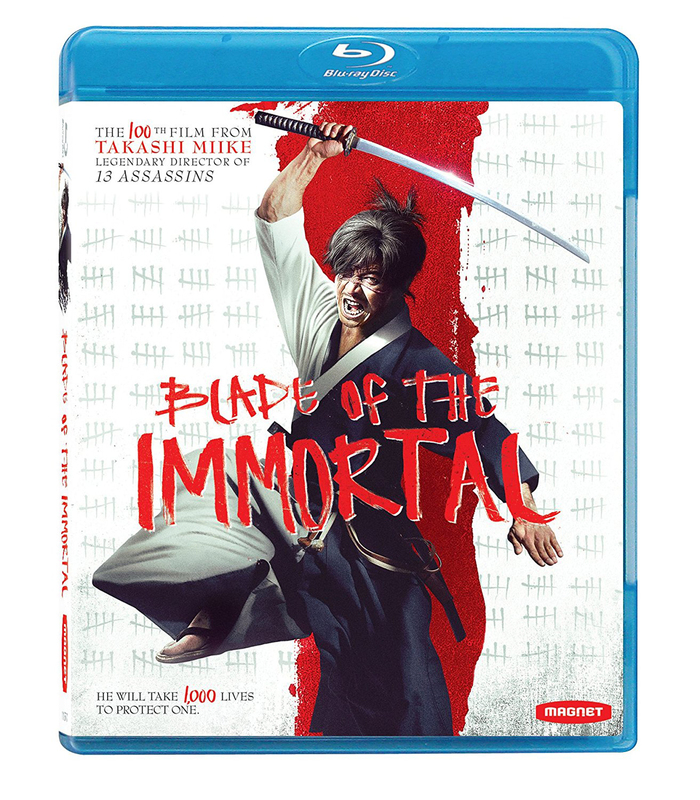 “Blade of the Immortal,” the 100th film from acclaimed Japanese director Takashi Miike, cuts to DVD, Blu-ray, SteelBook, Digital HD Tuesday Feb. 13. In this historic epic, Manji, a highly skilled samurai, becomes cursed with immortality after a legendary battle. Haunted by the brutal murder of his sister, Manji knows that only fighting evil will regain his soul. He promises to help a young girl named Rin avenge her parents, who were killed by a group of master swordsmen led by ruthless warrior Anotsu. The mission will change Manji in ways he could never imagine. Special features include “Manji vs. 300,” a poster gallery, trailers, cast interviews and an interview with Takuya Kimura. “Blade of the Immortal,” released through Magnolia Home Entertainment under its Magnet label, will be available for a suggested retail price (SRP) of $29.98. 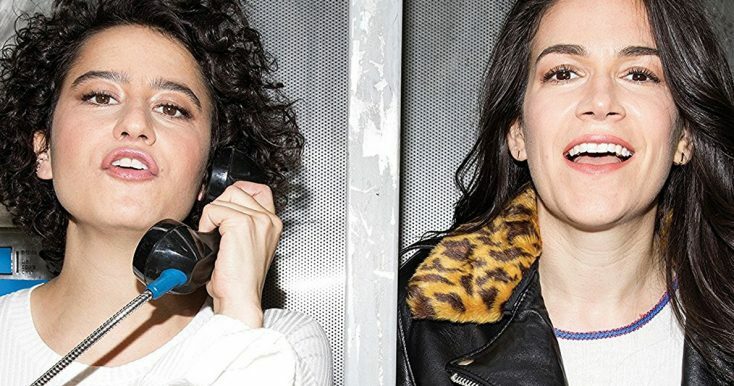 Galentine’s Day is fast approaching and what better way to celebrate than with your New York besties, Abbi Jacobson and Ilana Glazer? Grab a few giant dirty martinis, a plate of bagel bites and the new release of “Broad City: Season 4” on Tuesday Feb. 13. Willem Dafoe (“Platoon,” “Shadow of the Vampire”) stars in the acclaimed “The Florida Project,” which makes its way onto Blu-ray (plus Digital) and DVD Tuesday Feb. 13. The legendary actor has earned his third Oscar nomination (Best Supporting Actor) for his performance in the film. The low-budget independent film revolves around people living in the not-so-magical outskirts that surround Orlando’s Disney World. Written and directed by Sean Baker, co-creator of the TV comedy series “Greg the Bunny” and critically acclaimed 2015 indie dramedy “Tangerine,” about a transgender prostitute, “The Florida Project” centers on a marginalized group of transients living in a no-star motel, just a stone’s throw—yet a world away—from the Happiest Place on Earth. Dafoe plays the short-term inn’s multi-tasking manager, Bobby, who spends his long days not only trying to stay one step ahead of the aging facility’s infrastructure, but also administering to the needs of its down-on-their-luck occupants. One such family is a young mother and daughter who live in one of the rooms that were never designed as permanent homes. Six-year-old Moonie (played by precocious seven-year old Brooklynn Kimberly Prince) spends her summer days not at the Magic Kingdom, which might as well be on another planet, but hanging out with other local urchins who come from fractured or unstable homes. While better-off kids are soaking up “It’s a Small World” and other rides at the iconic amusement park, Moonie and her fellow pint-size pals find their entertainment in spitting on guests’ cars from the motel’s balcony, panhandling for ice cream, yelling expletives at unsuspecting sunbathers and engaging in dangerous, destructive behavior. Her young, tattooed mom, Hailey (newcomer Bria Vinaite) does whatever she can to make the $35-a-night rent. Bobby (Dafoe), meanwhile, does what he can to protect these fragile people while trying to keep their only refuge in compliance with the law. Though familiar with the Orlando area, where some of his family live, Dafoe said in an interview last fall that he wasn’t aware of this subsector of society that has grown in recent years, owing to the economic downturn and societal changes. Working with Baker and tackling the role of the hardworking maintenance man trying to do good in a messed-up world was a big draw for him in taking on the role, which has garnered him a lot of attention. The Blu-ray and DVD include a bonus feature on the making of the film, bloopers and outtakes as well as interviews with the cast and crew. Co-written by Baker and Chris Bergoch, “The Florida Project,” from Lionsgate and A24, will be available on Blu-ray and DVD for the suggested retail price of $24.99 and $19.98, respectively. The outrageous animated family adventure “Hedgehogs,” featuring the voice cast of web superstars Jen McAllister (@jennxpenn) and the Smosh duo Anthony Padilla and Ian Hecox along with comedy stars Jon Heder (“Napoleon Dynamite”) and Chevy Chase (“Caddyshack”), is coming to DVD and digital Tuesday Feb. 13 from Lionsgate. The laughter begins as a mischievous hedgehog named Bobby leaves his wilderness home and joins Hubert, a featherbrained pigeon, on a wild, unpredictable journey. They make their way to the big city, where stressed-out humans are losing their minds. Bobby and Hubert must calm the nervous citizens by being their cute, cuddly selves. A special feature on the voice actors in the recording studio also is on the DVD as well as a trailer gallery. In honor of Valentine’s Day, Front Row Features is giving away a copy of the recent Disney Junior release “Minnie: Helping Hearts” to one lucky reader to share with their kids. The DVD features eight episodes of “Mickey and the Roadster Racers’” Happy Helpers—Minnie Mouse and Daisy Duck—helping their friends in need. Whether they’re babysitters, personal assistants or cruise ship directors leading the Valentine’s Day dance contest, every day is an exciting new adventure for these two BFFs. To enter the contest, simply email socalmovieeditor@aol.com by Monday Feb. 19 for your chance to win. Good luck! Next PostPhotos: ‘Blade of the Immortal,’ ‘Florida Project,’ ‘Broad City,’ More on Home Entertainment … Plus a Valentine’s Day Giveaway!! !